1 comments | First published January 24, 2015 , last updated April 8, 2019 . Reading time: 3 minutes. The light aluminum covering that is indestructible which will last you for years. A sturdy magnetic motor-powered device which runs smoothly and hardly makes any noise. Click here to find out about all the features we didn’t mention here. The major advantage and definitely the selling point really goes to its power, consistency and sturdiness, which in the end gives you that exact cut even on the edges where you need perfect precision. 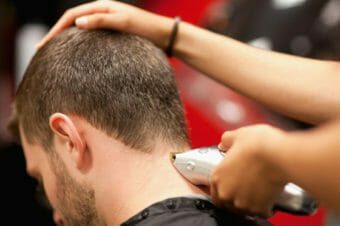 The Andis Master will also cut down the time it takes to trim your hair as opposed to other trimmers that take a bit longer to get the job done. Since there are no attaching combs included, you should buy the Guide Comb Set for cutting and trimming. The advantage of this is that you can also use it to trim your beard which makes it more cost effective than purchasing separate cutting devices for your head and face. The Andis Master is more costly than the other hair clippers available, and if you’re considering a more inexpensive selection, the Andis Promotor and Kit, which contains a clipper plus a trimmer, including all the guide combs in the set would be a more useful choice. Click here to read reviews yourself. 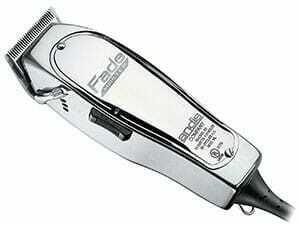 Personally, I would definitely give the Andis Master Clipper 4 stars. It’s durable, lightweight and perfect for all-round trimming. This clipper will set you back about $90 but it is definitely worth the price. Unlike other professional clippers, the Andis Master does not get hot while you are trimming. 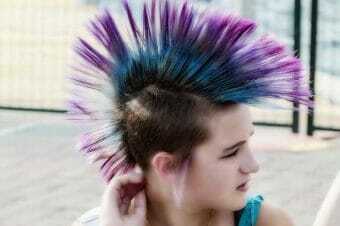 So if you are a professional barber and cut a lot of hair every day, then this is perfect for you. There is only one downside and that is it tends to make strange grinding noises after a while. All you have to do is adjust the screw on the side of the clippers until the noise stops. A useful hint is to purchase the disinfected spray which you can spray on the blade. This helps to keep the blade cool while you are trimming. The Andis Master is available in more than 90 countries (check if it’s available in yours!). Hairdressers, stylists, and customers all over continue to purchase this clipper as they want to trust a top-performing clipper and that’s what you will get if you purchase the Andis Master clipper. If you like what you have read in this review and interested in these amazing and handy clippers, then click here to purchase these from Amazon. Happy trimming!